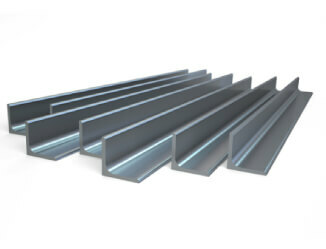 We supply mild steel angle from stock in 6 meter lengths. It is ideal for general fabrication can be easily cut drilled and welded to make shelves, brackets, frames, racks etc. Stock bars can be cut to length if required. Angles are often used in cleat connections. In order to strengthen beam connections these steel angles are useful.Mild steel angle has many practical uses including the construction of fences or trailers, and is often used as fence posts it provides a reliable and sound structure. Mild Steel angles can also be welded to strengthen these steel connections. The strength and workability of mild steel makes it the perfect material for angle sections due to the fact that it can greatly increase structural integrity. Mild steel is also widely recycled, making it an economically viable material in terms of construction.